The field of conflict analysis has long been handicapped by the country-year straightjacket. This is beginning to change thanks to the increasing availability of subnational and sub-annual conflict data. In the past, one was limited to macro-level data, such as the number of casualties resulting from violent conflict in a given county and year. Today, datasets such as the Armed Conflict Location Event Data (ACLED) provide considerably more temporal and spatial resolution. Another example is this quantitative study: “The Micro-dynamics of Reciprocity in an Asymmetric Conflict: Hamas, Israel, and the 2008-2009 Gaza Conflict,” authored by by NYU PhD Candidate Thomas Zeitzoff. 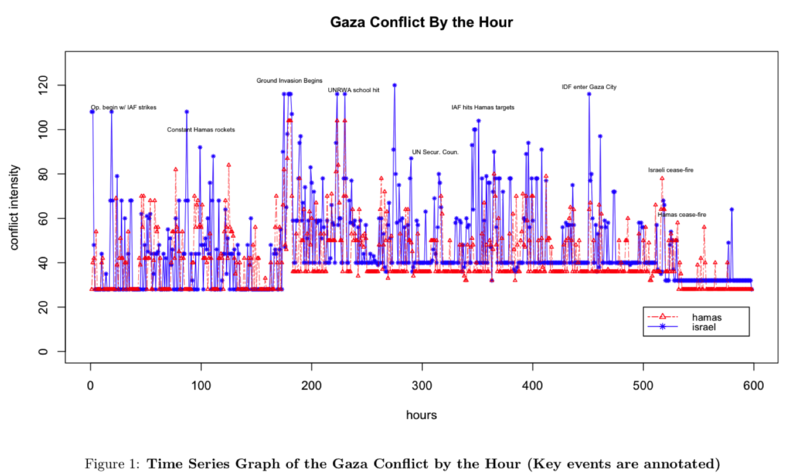 I’ve done some work on conflict event-data and reciprocity analysis in the past (such as this study of Afghanistan), but Thomas is really breaking new ground here with the hourly temporal resolution of the conflict analysis, which was made possible by Al-Jazeera’s War on Gaza project powered by the Ushahidi platform. nd that Israel responds about twice as intensely to a Hamas escalation as Hamas responds to an Israeli escalation. Furthermore, I find that both Hamas’ and Israel’s response patterns change once the ground invasion begins and after the UN Security Council votes. (Study available as PDF here). Hamas’ cumulative response intensity to an Israeli escalation decreases (by about 17 percent) after the ground invasion begins. Conversely, Israel’s cumulative response intensity after the invasion increases by about three fold. re, but Israel’s drops more than Hamas (about 30 percent to 20 percent decrease). For the period covering the whole conflict, Hamas would react (on average) to a “surprise” 1 event (15 minute interval) of Israeli misinformation/psy-ops with the equivalent of 1 extra incident of mortar re/endangering civilians. Before the invasion, Hamas would respond to a 1 hour shock of targeted air strikes with 3 incidents of endangering civilians. Comparatively, after the invasion, Hamas would only respond to that same Israeli shock with 3 incidents of psychological warfare. firm my hypotheses that Israel’s reactions were more dependent upon Hamas and that these responses were contextually dependent. 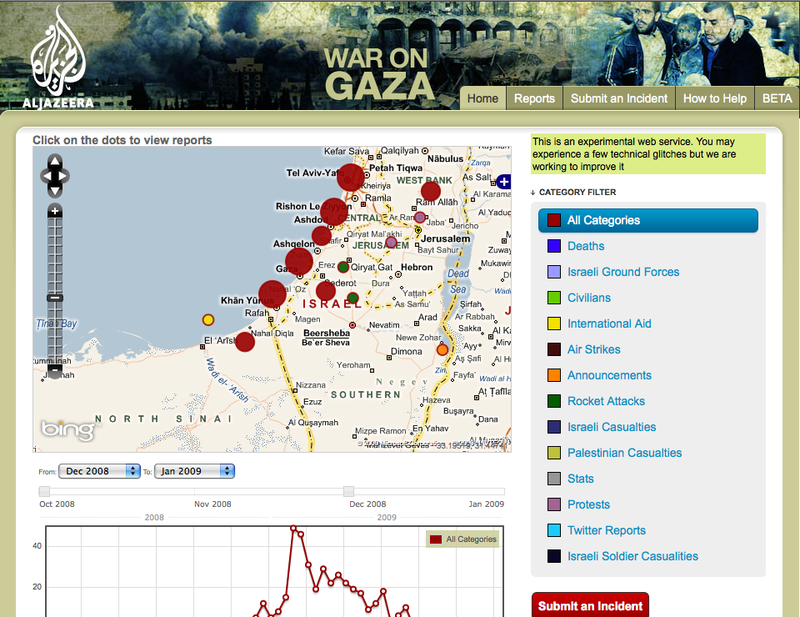 Wikipedia’s Timeline of the 2008-2009 Gaza Conflict was particularly helpful in sourcing and targeting events that might have diverging reports (i.e. controversial).